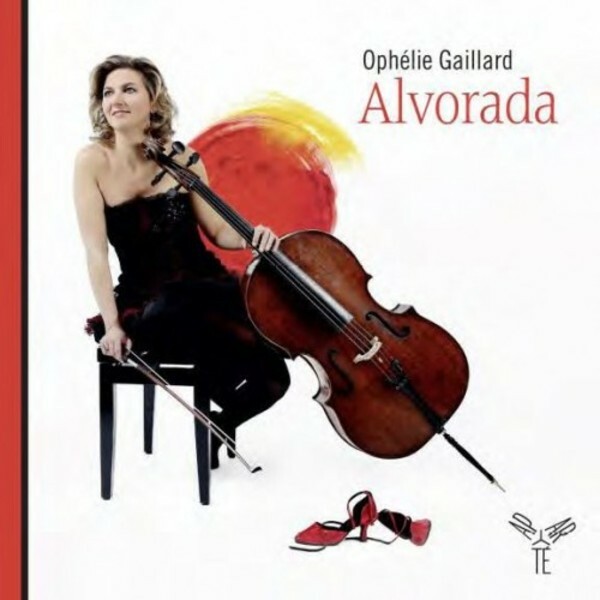 'Alvorada' or an invitation to travel with cellist Ophélie Gaillard and her magical cello: a musical tour from Spain to Latin America (Brazil, Argentina, Cuba) featuring, in particular, the composers Villa-Lobos, Granados, Piazzolla and Jobim. In an exceptional mixture of classical pieces and arrangements of the greatest themes of this intense music, the cello sings with the bandoneon, dances with the piano, guitar or percussion, and abandons itself in amorous intimacy with the voices. 'Alvorada' immerses us in a sound universe where the feverish energy of the rhythms of this Hispanic and South-American music entrances us and from which a sensual nostalgia responds to a dizzying tango. All the senses are aroused when hearing these spellbinding songs and rhythms. "Some years ago in Seville, basking in the heat of the afternoon sun and still dazzled by the multi-coloured tiles in the streets of the old city, I was sitting under the majestic trees in the exquisite garden of Casa de Pilatos and began to toy with the idea of one day being able to share the feelings and revelations I had enjoyed in my many journeys through southern parts—both in the course of my frequent tours of Spain but also throughout Latin America. With only my cello for travelling-companion, I visited the four corners of the globe, often playing the Catalan master Gaspar Cassadó’s cello sonata, a living metaphor for Spain, his native territory. From the very first note, we are standing on the hard-baked earth of Andalusia under a burning sun. The silvery olives, gnarled and desiccated though they are, bear wondrous fruit; the scent of the orange trees and jasmine invades our senses so recently wakened from the depths of a stolen siesta as we sit beneath an arbour by a Mozarabic fountain.